"THE MOST BEAUTIFUL WIND TURBINE IN SWEDEN"
Dalifant is a small wind turbine solution designed to yield maximum energy at a given rotor diameter. It is installed on a design-protected 20 metre wooden tower created by InnoVentum. The Dalifant is suitable for a variety of applications. It can provide electricity for an eco-farm, a larger house, a small-scale industrial site - power any appliances that require electricity. See Dalifant product leaflet or scroll down the page to learn more! We are happy that our Dalifant customers Gustav and Marie Mandelmann are featured in a TV4 programme: Mandelmanns Gård. We are very proud of their achievements and truly believe that they "walk the talk" of leading a sustainable, climate-friendly and natural lifestyle. They produce their own energy with wind and solar installations - so can you! And we are ready to help you with that. For a start, you can check live performance of the Dalifant wind turbine and solar panel installations at the Mandelmanns. Also, you may check live energy production at the Thulins family eco farm Vismarlövsgård. Below you can study all features of the Dalifant. You may also wish to read more about the installation process and see some pictures: click here for that. Or why not view the installation video! We receive praise all the time for our beautiful Dalifant that produces clean energy all year round! The full Dalifant solution including screw foundations weighs four tons and produces 38 000 kWh per year at 6 m/s. A typical large wind turbine with the capacity of 3 MW weighs 2 565 tons (including a concrete foundation of 1 250 tons) and produces 4 900 000 kWh per year. In terms of energy production per kilograms of materials used, the Dalifant produces 9.5 kWh per kg whereas the large wind turbine only produces 1.9 kWh per kilogram of materials used. 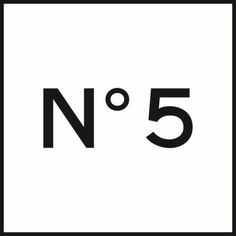 This makes the Dalifant five times more resource efficient. The Dalifant Wooden Tower Reduces Carbon Footprint of Wind Turbine Installations! The Dalifant is one of the most efficient small wind turbines in its size category. For the wind turbine to generate energy, it needs to harness kinetic energy of the wind that passes through its rotor, hence the bigger the rotor - the larger the swept area, and consequently the bigger the energy production. 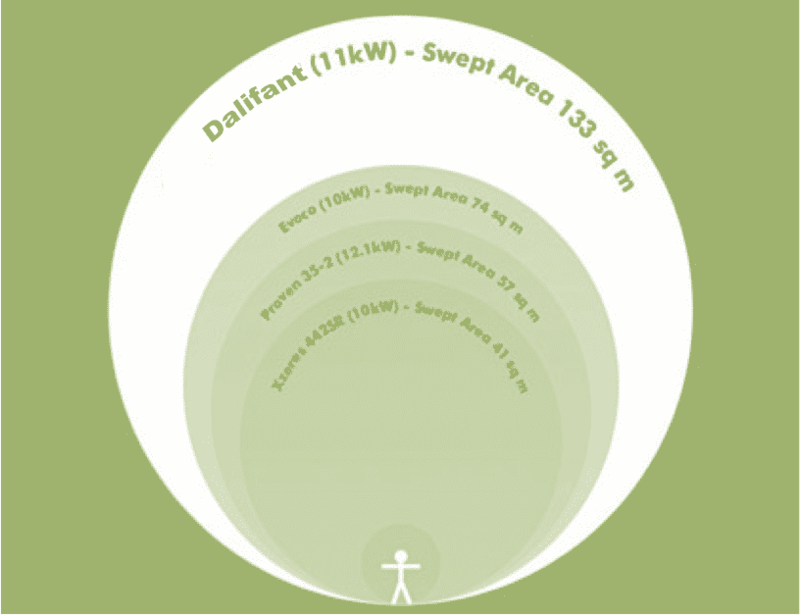 The wind turbine in the Dalifant solution has a swept area of 133 m², which is approximately double of that for similar sized (10-11 kW) competitor solutions. This allows for energy production figures for the Dalifant comparable to those for 20-25 kW wind turbines: 38 000 - 40 000 kWh at 6 m/s average wind speed. The performance figures have been verified during extensive real-life testing and over 10 years of installations. At the level where small wind turbines operate (20 metre above the ground for the Dalifant) average wind speeds rarely exceed 10 m/s, therefore the turbine needs to be optimised for such moderate conditions as opposed to extremely high wind speeds that one can observe at the hub heights for the industrial wind farms (100+ metres). The Dalifant is designed specifically for such conditions. The Dalifant small wind turbine has undergone extensive international quality and safety testing. It is UK Microgeneration Certfication Scheme (MCS) approved, has been rigorously tested in the USA, and has had Danish HBO certification for several years. The small wind turbine is protected against very high wind speeds by three levels of safety features including: 1) Passive stall control, 2) Mechanical brake activation and 3) Deployment of centrifugally activated tip brakes. All of these measures ensure that should the wind reach speeds over 25 m/s, the rotor will automatically ‘park’ itself to avoid damage to your turbine. The Dalifant wind turbine solution can be complemented with a solar PV installation. Below you can see live energy production monitoring numbers for the installation in Skåne. In this case PV solar panel installation (17 kW) has been monitored since the 1st of May 2015, while the Dalifant wind turbine (11 kW) power production has been monitored since the 1st of September 2015. The Dalifant small wind turbine solution is installed by pulling together eight wooden legs (assembled on the ground) with help of a crane - the wind turbine is then mounted on top of the wooden structure. The installation is done quickly and efficiently, you can view an installation video on the right (or below in the mobile version) and an installation photo gallery below. In most cases we use screw foundation for our solutions, which is an environmentally friendly alternative to the concrete foundation. Screw foundations require no soil movement and offer considerable water and material savings.